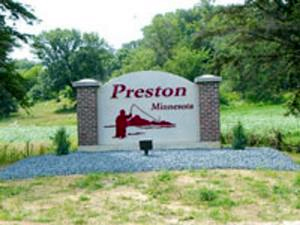 Preston Minnesota is a vibrant community in the heart of bluff country in Southeastern Minnesota. Many visit Preston to view the beautiful Root River Valley for so many reasons! 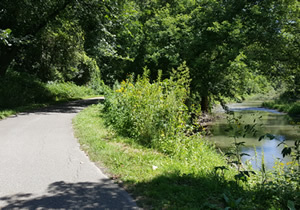 The Root River Bike Trail System and the Root River run right through town. Whether you are visiting to bike the trails, fish the Root River or one of many cold-water creeks, see the sites of Bluff Country, or just a get-away, you will not be disappointed. The beauty of the area is like no other. 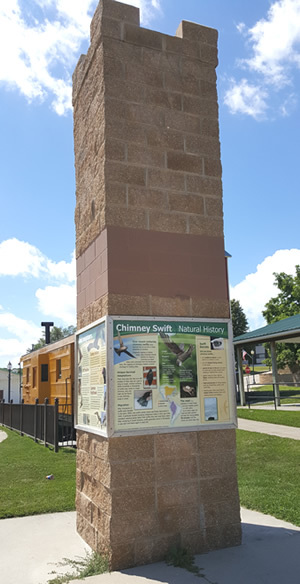 Preston is home of the largest Chimney Swift bird population in Minnesota! Audubon Minnesota recognized Preston as having the largest and most active Chimney Swift population in the state. Swifts feed exclusively on flying insects, like mosquitoes, which is “good news” for bikers and other outdoor enthusiasts in Preston. People gather each night at dusk at our Trailhead parking lot April through August to watch these amazing birds dive by the hundreds into their nighttime roosts. 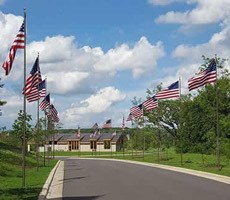 Preston is also proud to have the states second Minnesota State Veterans Cemetery, after Little Falls. The first Veterans were laid to rest in Preston’s newly-opened State Veterans cemetery on Veterans Day, November 11, 2015. If you are in town to attend a service, the Trailhead Inn is conveniently located to the cemetery and all of downtown. Preston is also home to the National Trout Center. The center is open to visitors during the traditional Minnesota stream trout season, mid-April to the end of September. 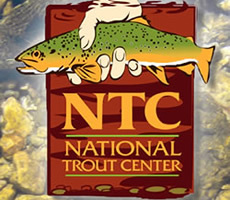 They offer a gift shop with NTC-branded items, and some fly-fishing supplies, exhibits, maps and information related to trout fishing in the upper midwest, Driftless Area, and surrounding states. Preston also holds a lot of history. You can check out some of the sites on the Preston Walking Tour, which is a self-guided walking or driving tour of the heritage of downtown Preston. It features very enjoyable descriptions of the history of Preston businesses of yesteryear, as well as old pictures of the businesses. It will take you back in time. Preston offers several dining establishments, a 9-hole golf course, tennis courts, grocery store, convenient stores, antiques, public library, and much more! Preston is central to so many other Bluff Country communities, attractions and recreational activities.